The 2015 T-shirt art was designed by Jeff Norwell and features David Hay and Big Ken McClure’s trucks. 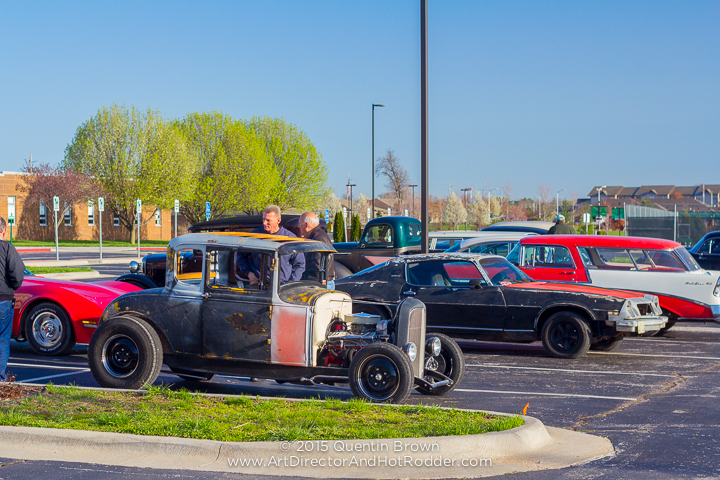 It’s Easter Sunday night and I am finally sitting down at the computer to share a post about the 2nd Annual SWMO Hot Rod Hundred Reliability Run, hosted by the CrossMembersCC. 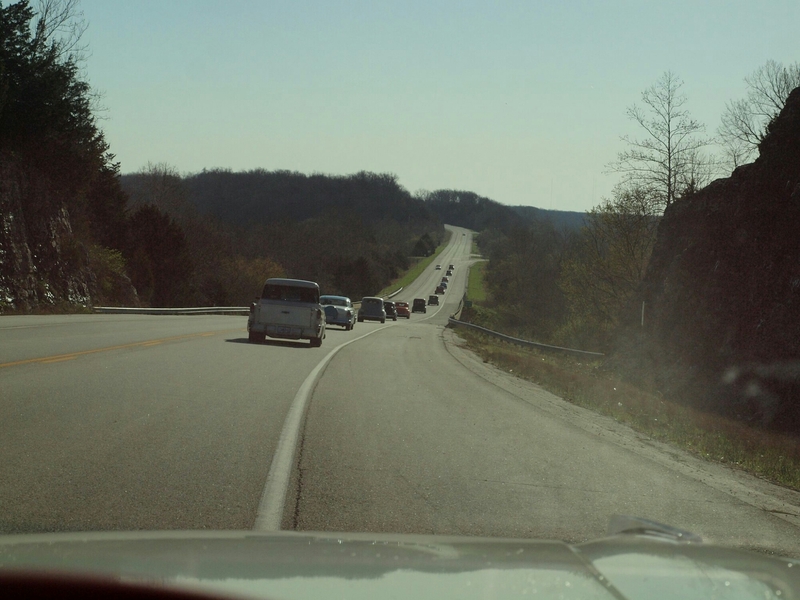 As a club member, I’ve had the pleasure of trying to organize the SWMO run for the past two years, and while there’s a lot of time and energy involved in that, days like yesterday really make that all worthwhile. 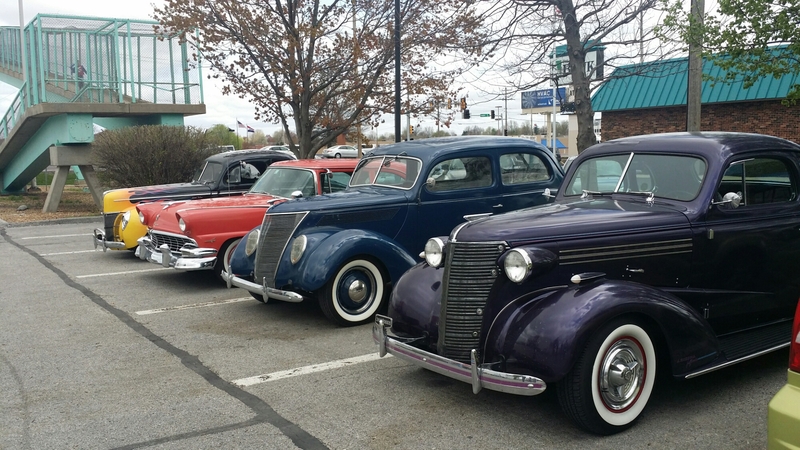 Get folks out of parking lots and actually do a drive in their hot rods/customs, proving that they ARE roadworthy! 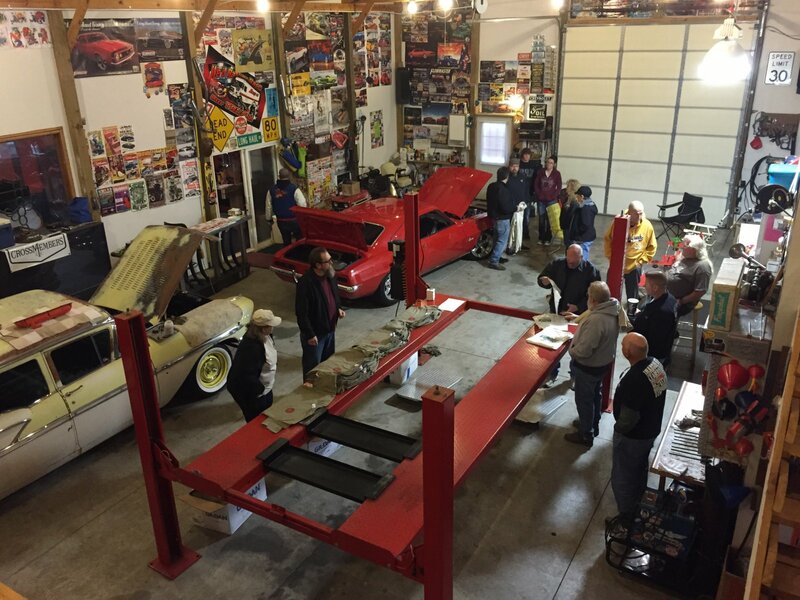 Have the opportunity to build relationships with other car folks. Biggest surprise of the day was when I looked up and saw my dad walking across the parking lot. He lives up in the StL area and came down with another buddy to spend the day with Doug and me. Made a cool day even better! I’ve still not done all the “cypherin” that I intend to do, regarding the actual number of cars and people that attended the event, but I do know that I have 97 entry forms and averaging out the number of people per car, of the pre-registered, there was somewhere close to 200 people that we hosted for lunch. Due to the fact that my brain was racing so many different directions, and I was doing my darndest to meet and greet all the folks that I had been e-mailing, calling, being called by, etc, in preparation for the event, unfortunately, I did not get the opportunity to walk around and actually “look” at all the cars or take photos. Fortunately, I have great friends who DID take photos! Friday afternoon lunch gathering of (front to back) Dan Hay, Clay Vance, Jeff Smith, and me. 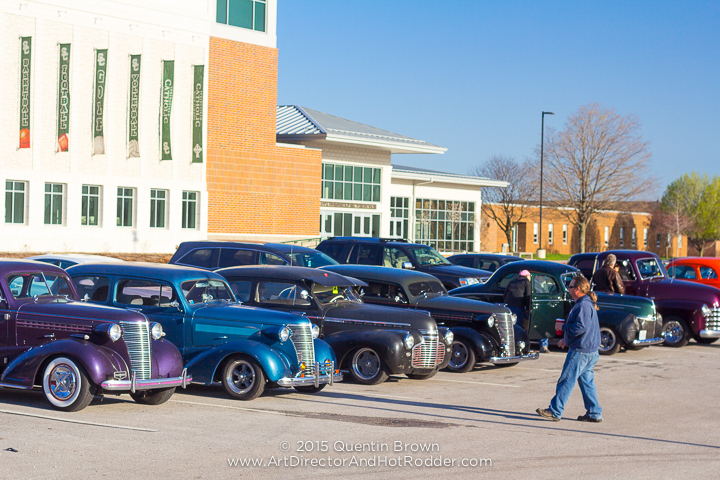 Quentin Brown caught this shot at Springfield Catholic High School, where we started our run. Tom Gallaher snapped this shot. This was during the greeting, member introductions, and instruction discussion. Tom also snapped this shot, leaving Springfield. 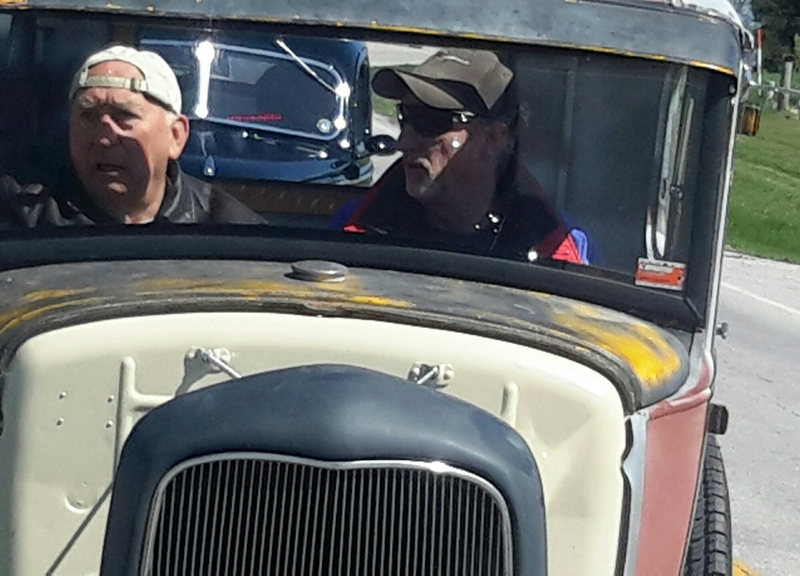 Judy Gaskill snapped this shot of Doug and Dad, on Doug’s first “real” ride in his coupe. 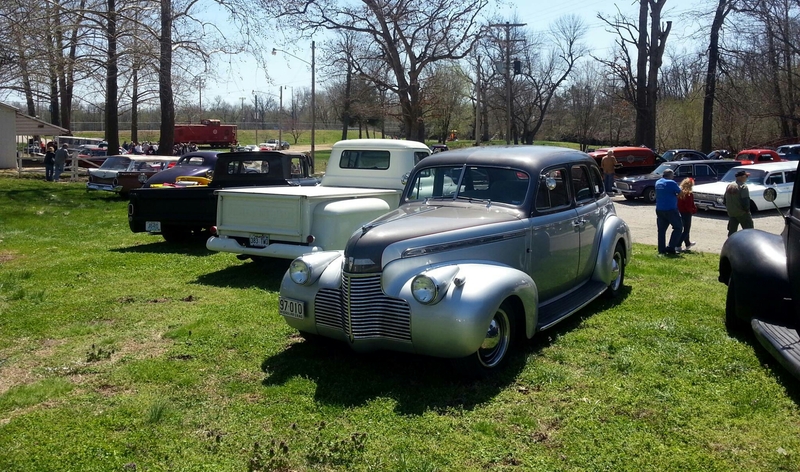 This was definitely a “Reliability Run” for Doug! 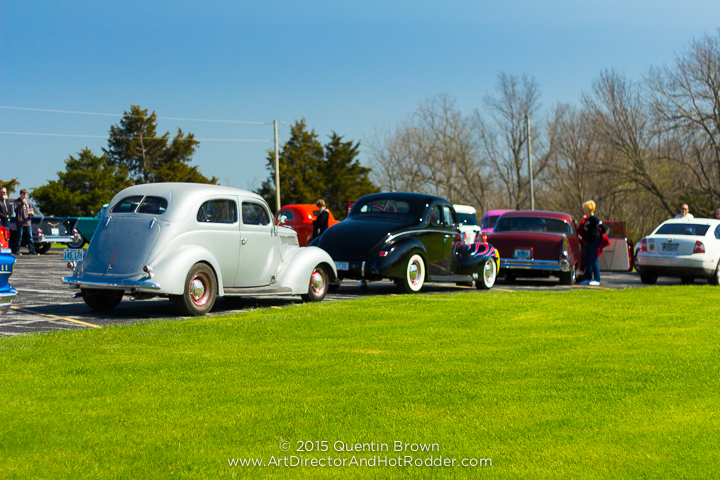 During the brief stop to regroup the cars, Quentin Brown snapped this shot of Jim Riley’s silver ’37 Ford Sedan. Some of you may recognize it. 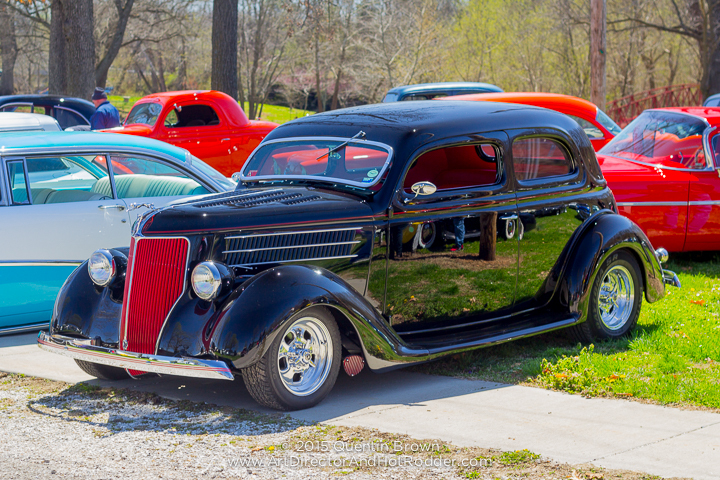 Jack and Judy Gaskill’s ’36 Ford sedan is an incredible piece of work. Many subtle mods that without really studying the car, would go unnoticed. 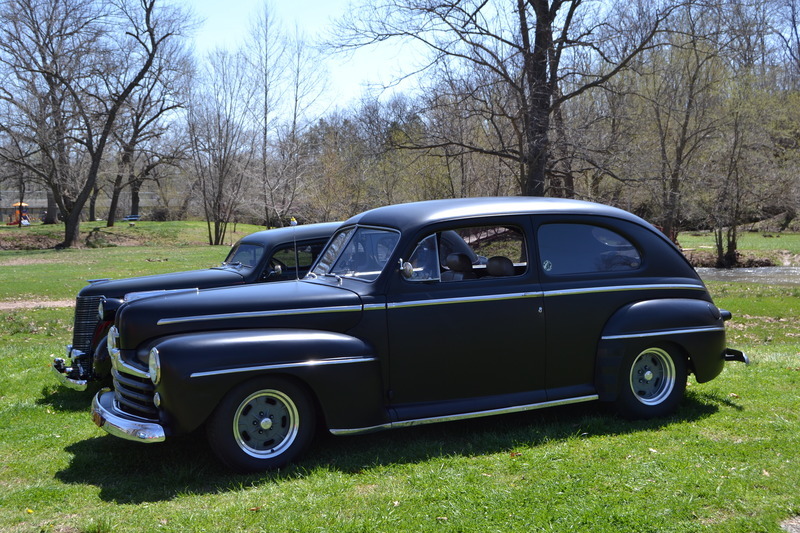 Duncan Cox snapped this shot of Dan and Sharyl Stears ’48 Ford sedan. 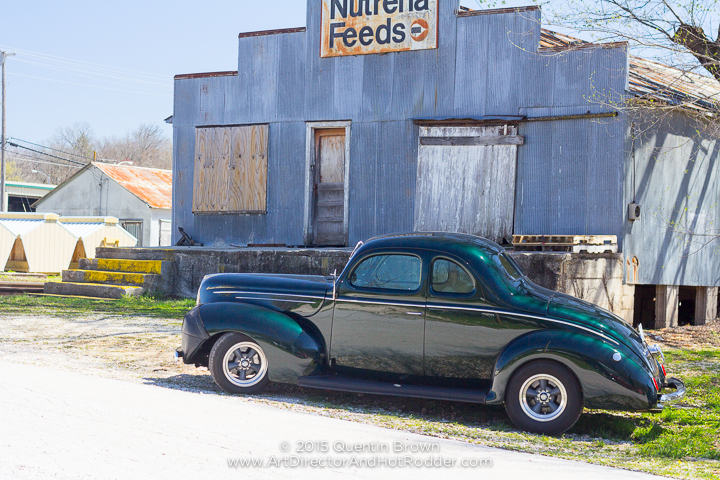 I never got to see who was driving the sweet ’39 Deluxe coupe, and have yet to dig through the registration forms, but wow…it sure was slick. 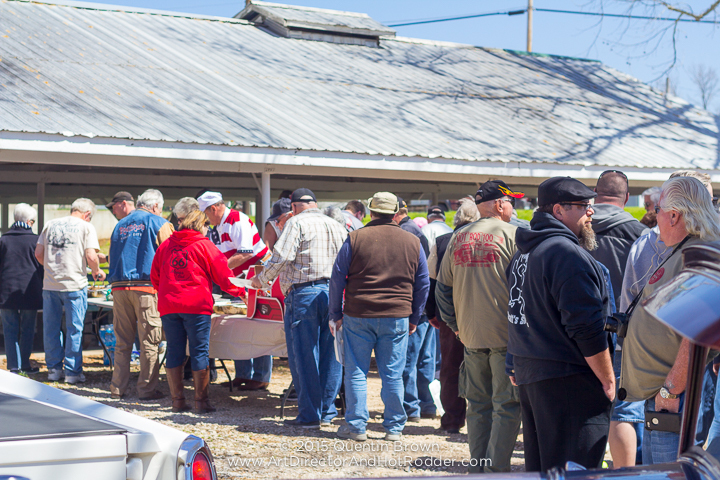 Steve Rohlman smoked up a BUNCH of pork and fed us an incredible lunch. Thanks to Ben and Missy DeLozier, for all of their work in helping Steve and preparing our destination at the Crane City Park! 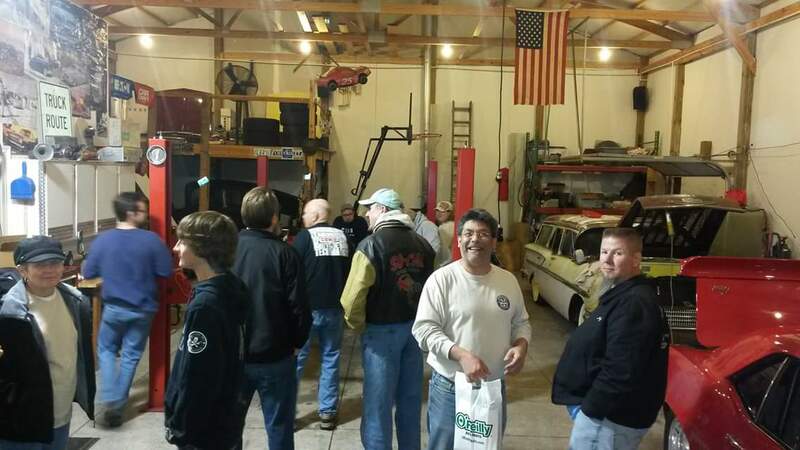 Thanks to everyone who came out and played cars with us, and for all the CrossMemberCC guys and their families for the hard work and fun times putting this thing together. Looking forward to the next one, September 18, in Oklahoma City! Thanks for the report & the pics. Well done to all involved in organizing the run. 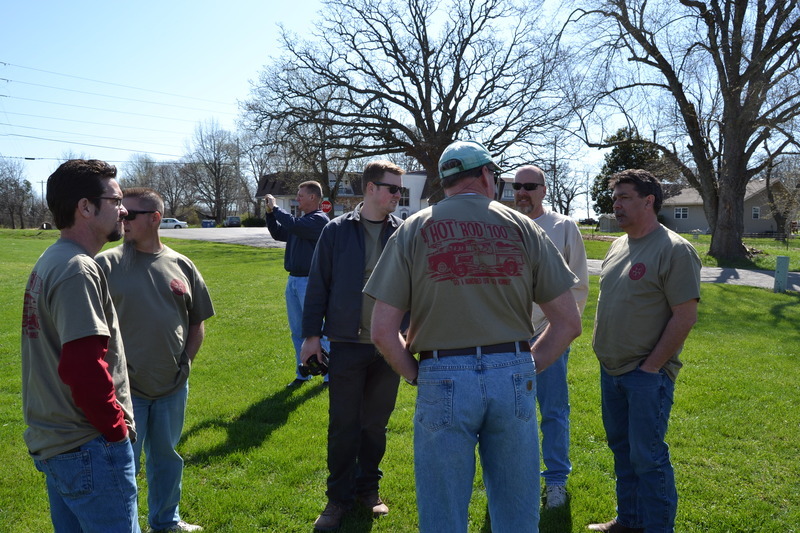 It was a great day, Bret, thanks to all of your hard work and the work of your fellow hoodlums! I look forward to doing it again next year! Always a pleasure to get to visit with you. Glad you could come out and play cars with us! Thanks, Peter. 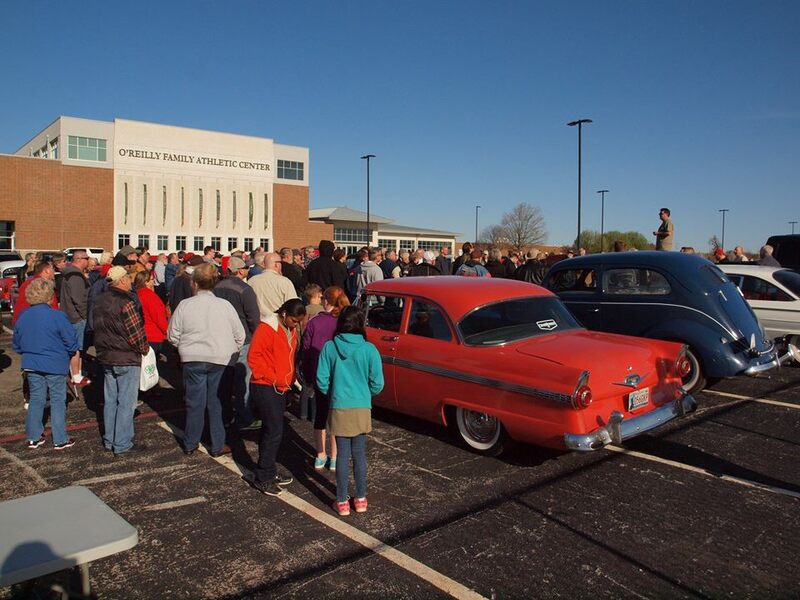 It’s great to have such support from the club and community to make events like this happen.